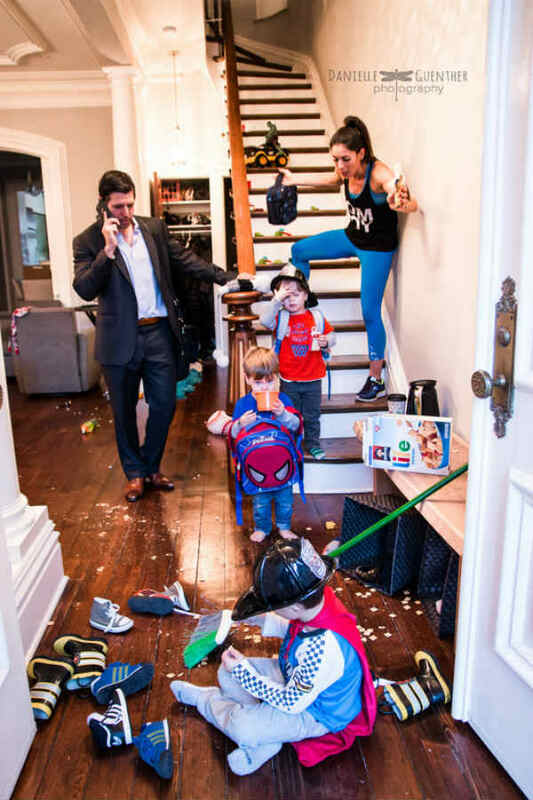 Ever feel like you’re in complete disarray, always late, always frazzled, always wearing clothes with some unidentifiable stain, always with too few arms for the children and the tasks at hand? 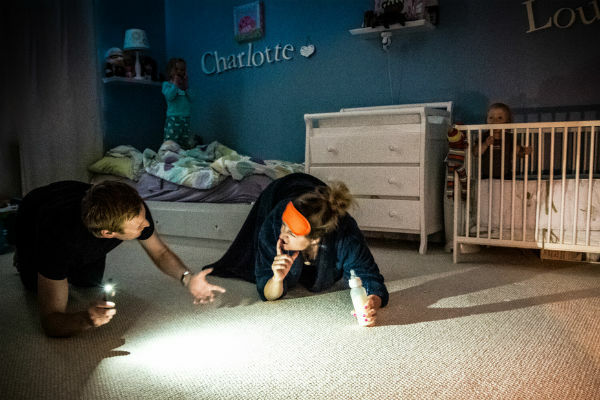 Well, don’t worry, it’s completely normal – and here are the photos to prove it. 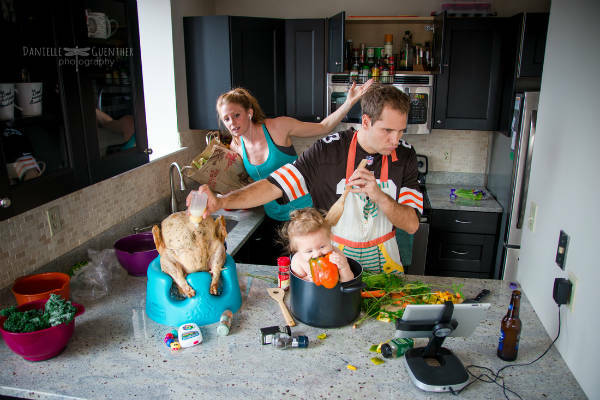 A series of images by mum-of-one Danielle Guenther depicts parenthood in all its chaotic glory. 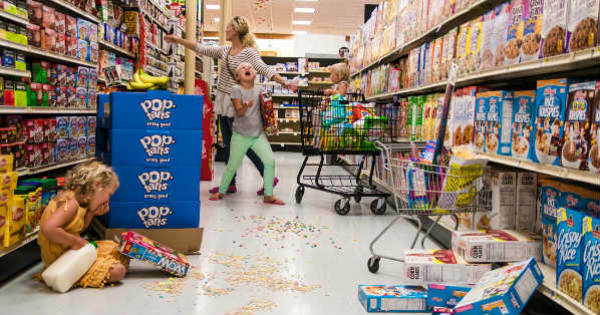 Like trying to eat at a restaurant, take a shower or leave the house with kids in tow, or crossing a road with pram, dogs, baby and armful of bags, or taking three toddlers to the supermarket, or finally getting the baby to sleep in your arms – and then realising the TV remote is just out of reach. 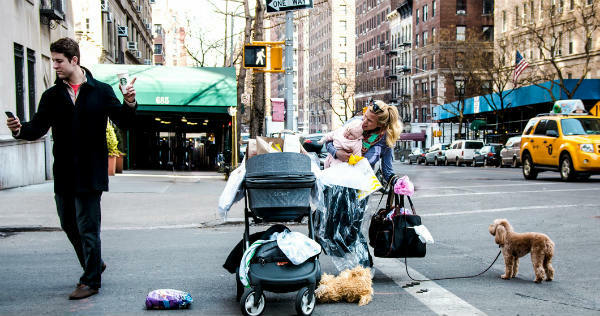 New York-based Danielle started her Parenting: Best Case Scenario project after a “random moment” with a regular client. 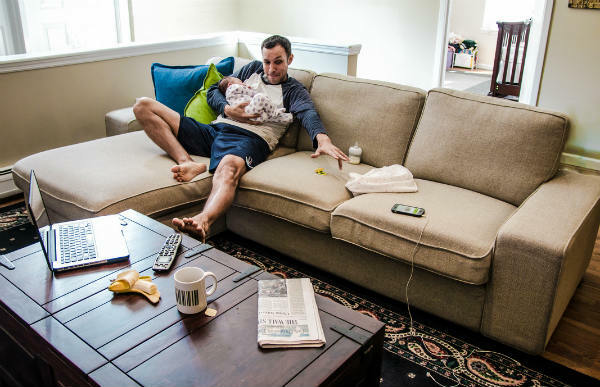 “She lay down on the couch and from that gesture we decided to do a funny image. 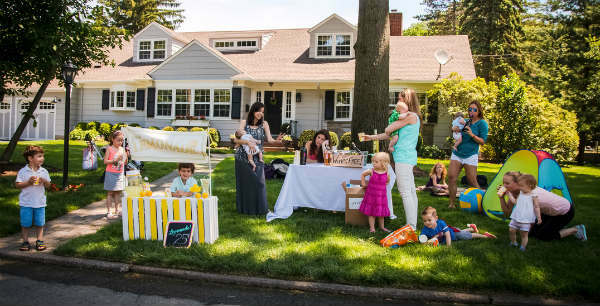 After I shared the image, people loved it, so I kept coming up with ideas and finding families,” she tells Babyology. 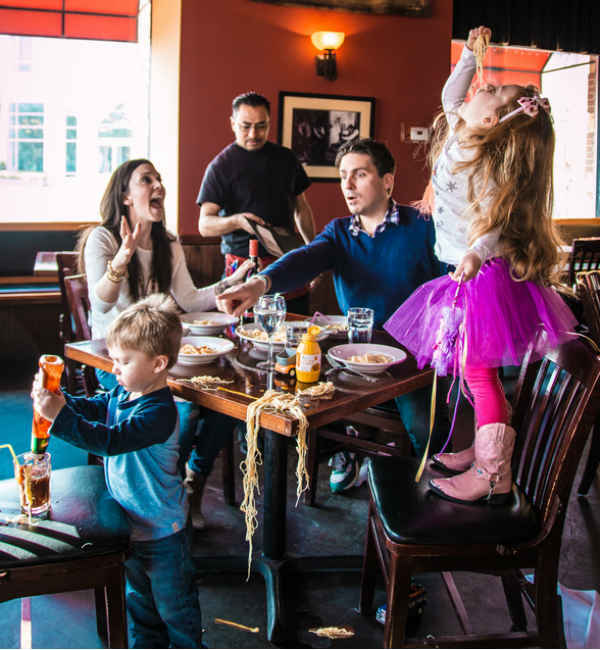 The shots are staged but then again, she says, “there’s a lot of chaos that happens naturally with the kids and it’s wonderful to have that action”. She draws much of the inspiration from her own life with her five-year-old son. 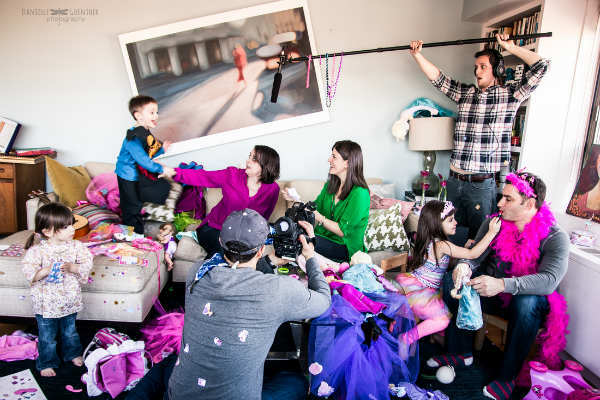 Danielle says she’s had a “blast” working with the families who have taken part in the project, including Mommy Shorts blogger Ilana Wiles and former Saturday Night Live star Rachel Dratch. 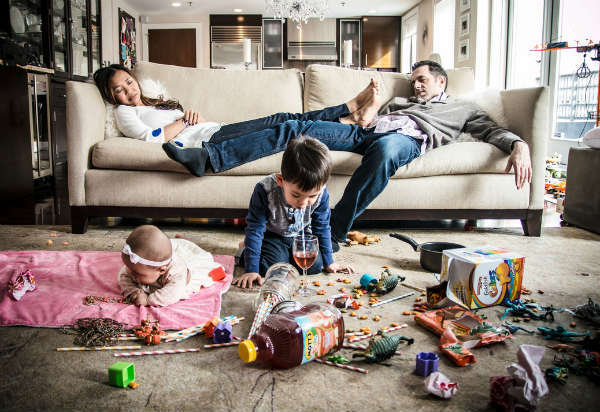 Take a look at more of Danielle’s photos below – do any look familiar?